By now, the mass media has finally started mass coverage of the Chicago kidnapping of a white special needs male by four African Americans, three of whom are only 18 years of age and one being 24 years of age. Thursday, I decided to make a video in response to simply get the word out. As I researched, it was made clear to me that even though the incident had occurred two days earlier, there was virtually no media or social media coverage of the event. So with that, I made a video of my thoughts of not only the incident, but what I think is the real issue behind what is going on within our country. However, I believe that this is a major statement of something far more wrong with our society. I do not condone their actions, and I am thankful that FINALLY it has been deemed a hate crime, and those responsible will be persecuted to the fullest extent of the law. I am not saying their age should matter. Not even a little bit. I am simply saying that the reality is, that this goes well beyond white and black. It goes beyond Democrat or Republican. It is the culture our youth are being raised in. You must wonder where they are getting these thoughts and ideas, and what makes them believe that violence is the way to handle any issue within our own country and culture. To put it simply, we as adults are failing with the very examples that we are setting daily. Are we to blame for what they chose to do? I don’t believe we are. Individual actions are simply that individual’s actions. However, hate for a specific race, religion, or sexual preference is not something that is genetic. It is something that is learned throughout a lifetime. I am simply saying that, it is time for us, as adults, to do our part in stopping this behavior. To again set forth an understanding among our community that this type of behavior no matter what “color” is at fault, is inherently wrong. We cannot live in a society in which it is “white” against “black”. We are Americans, and it is time we all started acting like it by pulling together and fighting this head on within the home front of our communities. God Bless America. First thing, Thank you and God Bless for your service to make America safe. 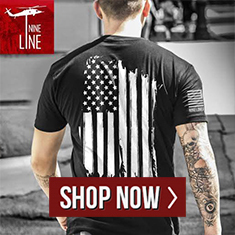 even though I never served I appreciate what nine line is doing to give back to the ones(Vets) that deserve it more then any. I will continue to lend my support also. “Proud To Be An American” God Bless America. Great column Graham on the crap that happened in Chicago by those four jack asses you know if the tables were turned Obama would be all up on CNN. great job to true American justice will prevail. Well said! Glad to have already done business with Nine Line. Will be happy to do more in the future. I could not agree with you more and it frightens me to think what the future may hold for my grandchildren, for generations to come, if this is not seriously addressed and dealt with. Very well spoken and written Graham. You do your County and it’s Citizens Proud. I aggree with you 100%, had the rolls been reversed the new’s media would have went nuts !!! And there would have been rioting in the streets and the group Black lives matters leading the way. I didn’t know about the Chicago kidnapping until I seen your video. Then I googled it. I agree 100%. I do believe there should be an outcry via main stream media but not about race but about how we as Americans treat each other and how we raise our children. I believe that once a child reaches a certain age they are responsible for their own actions but at the same time they had to see or hear those actions somewhere. An added note to those who want to blame having a bad childhood for their negative actions- you decide who you are. You decide whether past experiences in life make you take a positive road or a negative road. Parents wasn’t ever there for you? Alcoholic parent? Doesn’t mean you have to be also, instead be the opposite. Let the bad past experiences help remind you to work to make a better and great future. After all, one day you will be parents also, do you want your children to go through the same struggles as you? America as a whole has condemned the actions of these four idiots towards the defenseless guy. As a “whole” white, black, brown and everyone in between. This should be an act that everyone uses to come together n see that the division of groups will eventually be downfall of the republic which we call the United States of America. Our so called elected leaders in D.C. Need to change the process of representing the major contributors and start doing what is the best for the general population at large. Represent the voters not just the donors, before the voters begin to clean out congress of those who still only represent themselves. Remember it is true that ” United we shall stand as a global power. Divided we shall definitely shall fall into an unorganized groups of second class geographically clusters of weak groups open to the aggressions of foreign enemies. 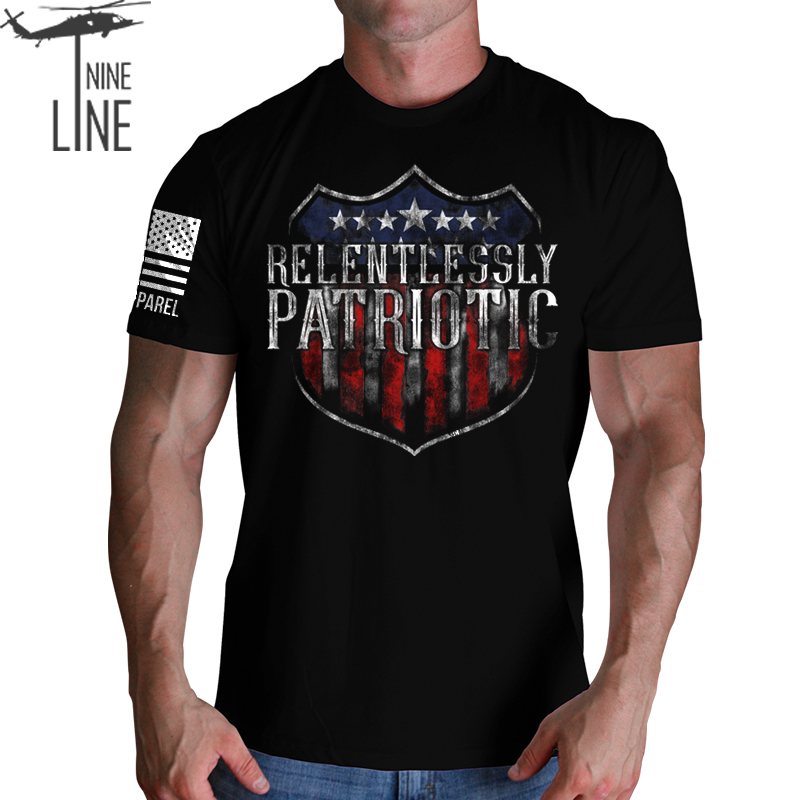 How does one purchase the “relentlessly patriotic ” shirt with the American flag shield on the front? Looked all over the site but didn’t see it available. Thanks a million! By the way like your column . Keep up the good work. others emotional or physical pain. Correct them when they are young we would not have this problem . Parents bail them out of their problems , when they are wrong . School can’t do anything because parents won’t them them have wny control while on school property. I couldn’t agree more. We are failing in our homes now. People are more focused on making babies than they are raising them. Thank you Graham for speaking out. You are a voice for many of us. Thank you for your service to our country & freedom. Keep the rants coming! My sister and I were talking early this morning and the subject of hate crimes came up, And I assumed that she knew about this kidnapping and was sharing the way I felt when the look on her face told me she had absolutely no idea what I was talking about. I was shocked, sad and honestly, more than just a little bit angry. If this situation had been reversed, there isn’t anyone in this entire country, Canada or even the freaking UK that wouldn’t know about what happened – if it were ever so much as questioned that it were a hate crime, the death toll of innocent whites would skyrocket to “send a message” / “prove something” and any Caucasian person that dared to defend the other innocent whites being blamed for three white men’s actions would be called a racist and a bigot and ridiculed and shamed for saying that ALL LIVES MATTER. And I think it is fair to say that its not just speculation that the situation would play out as I described – because we have plenty of evidence to support That white people are often held responsible, even accountable forneach other and we are more often than not all blamed for any race related incidents. Beyond that, what on earth is being put into our youth’s minds that they are feeling like doing something so heinous is a good way to get Facebook famous???!? Thank you for bringing attention to this tragic and forboding incident…. Awesome article…..you are so right….it’s about time to stand united and stand against divided! We are Americans, we need each other and we definitely need God! Thank you for being another voice for we the people! I am really interested in purchasing one of you t-shirts, mainly the black patriotic shirt. Please send me the link. Thank you Graham for writing this article and for your video on an awful situation that needed to be brought to the forefront of the news. I am a single mother of three boys. My youngest is autistic. Seeing this kind of treatment from today’s youth against a fellow young man breaks my heart. Love will always win. Good will always conquer. You Graham are one of the good guys! For this I thank you. Share..and re share constantly!! Thank you for your service and for what you are doing..you ARE making a difference! Prayers your way!! First of all thank you for your service to this great country of ours. I’m an Army Veteran (76-78) who truly loves our country and believes in respect and honor. I agree with almost everything you wrote except the part where we as adults are failing. I believe it’s not the adults like yourself and I that are failing because its obvious that we just didn’t just start thinking the way we do when it comes to racism of any kind. I believe its the parents failure to teach their kids right from wrong and what’s good or bad. Of course it doesn’t help that we have a President and his wife that has racially divided this country the past eight years. There is only one race. The human race, and until we can get everyone to see us as a man, woman, or child and the color of ones skin we will have racism. Once again a company with great products and great views. It is completely disgusting the way this was handled in the beginning. It seemed like they were going to sneak another one by. Not this time!! True Americans have had it with this double standard!!!! It is not about color it is about being Human. Why would anyone notwant to call this what it is? If you don’t see it as a problem then you can’t fix the problem. I don’t want to live in a divided country. I want just as much food happiness and good health on your table at home as I have in mine!! We need to stand up for what is truly right equality. Your not going to get equality from msm media. They have their own agenda and it is Not American !!! Its time to turn them around or turn them off!!! They have no idea why their ratings are in shambles and I don’t think they will figure it out. I appreciate nine lines view and glad you made it public. I also appreciate what you do for our veterans !! It is companies like this that help you stand tall when your down or you feel like we are losing. We are not losing nor will we. We are Americans we will come out on top. I stopped watching the msm about a year ago. I listen to the real news on Infowars and others. I’m sure you’ve heard of them but anyone that ha sent give them a chance. I thank you again nine line! !